An artist has unveiled his latest collection of meticulously created celebrity dolls – including Nicole Kidman, Angelina Jolie and Johnny Depp. Noel Cruz’s dolls could almost be mistaken for the real deal, baring a striking – if not creepy – resemblance to his subjects. Cruz, who specialises in paining dolls to look like celebrities, has now amassed a whole family of the celebrity models. Some of the designs are created to look like the real-life star – such as Bond actor Daniel Craig and Hollywood actress Nicole Kidman. William F. Nolan’s wife tells him he invented the Internet. In Nolan’s 1967 science-fiction novel “Logan’s Run,” a vast computer network called the Thinker controls the world. “Science-fiction writers do extrapolate. They try to take a trend of today and move it into the future: What would happen if,” the lanky, effervescent 81-year-old said. Plot twists in his own life — a marriage in need of a tune-up, a professional collaboration that blossomed into a friendship — led the famed and prolific author to move to Vancouver, where he lives in a book-filled one-bedroom apartment. Nolan has 83 book credits to his name. He’s best known for his work in science fiction, fantasy and horror. In January, he was honored with a lifetime achievement award from the Horror Writers Association, and he was voted a Living Legend in Dark Fantasy in 2002 by the International Horror Guild. Still, Nolan bristles at being assigned to any particular genres. On Wednesday, 7 August 1974, shortly after 7:15 a.m, Philippe Petit stepped off the South Tower and onto his 3/4″ 6×19 IWRC (independent wire rope core) steel cable. He walked the wire for 45 minutes, making eight crossings between the towers, a quarter mile above the sidewalks of Manhattan. In addition to walking, he sat on the wire, gave knee salutes and, while lying on the wire, spoke with a gull circling above his head. (RNS) When All Saints Church sought to signal its hospitality to gays and lesbians, the Catholic parish in Syracuse, N.Y., turned to a well-known image from the 9/11 attacks: five firefighters carrying a body from the wreckage of the World Trade Center. In Modern Greek, goldfinches are called kartherinas; the word for ‘heart’ is karthia. The relevant collective noun in English: a ‘charm’ of goldfinches. The goldfinch is also a symbol of Christ’s passion. Hygeia 30º Pisces: A man trudging along a rough road, dragging a mass of heavy chains. A strong horse in a cart standing idly near. Transneptunian Hades 8º Aries: A silver axe shattering a shield of iron. Transneptunian Admetos 9º Aries: A Roman general gaudily apparelled receiving a wreath of flowers from an empress. Uranus 10º Aries: A ship illumined with the rosy rays of morning sailing towards the rising sun. Elvis 16º Aries: Wild flowers growing amidst the corn in a sunlit field. Venus/Kassandra 22º Aries: A pilgrim crossing himself in front of an ancient temple, an overdressed official and a soldier mocking him. IC 27º Aries: A huge hour-glass, the sands in which are running low. Okyrhoe/Hekate 2º Taurus: A heart crowned on the summit of a barren rock jutting out of the ocean–a bevy of white sea-birds speeding towards it from the east in crescent form. Ceres 4º Taurus: The arena of a circus during a night performance, the ringmaster in the centre urging forward the movements of a large white horse galloping round the ring, a lady gymnast standing on the animal’s back holding a hoop of fire. Transneptunian Kronos 6º Taurus: A judge in his robes of office handing a book to a student, who is stretching out his hands to receive it. Chiron 11º Taurus: A monk on a rocky road giving drink and food to a poor traveller who has fallen by the way. Moon 17º Taurus: A sea-gull flying over the waters of the ocean. Sun 19º Taurus: An archer, dressed in red, firing arrows at the Moon. Vulcan 20º Taurus: A flight of white eagles. North Node/Jupiter 22º Taurus: Hand holding a torch amidst the darkness. Orcus 23º Taurus: St. Michael slaying the Dragon in a shower of black rain. Denotes one with strength of purpose and ability to sustain trials. The Dragon is lust, corruption, end the cold moistures of the earth. St. Michael is the life, solar energy, conqueror of decay; the black rain the evil which corruption draws. So when the native realizes her soul force he becomes a veritable victor over the monster into whose jaws so many unwarned and unguarded fall. It is a symbol of Victory. Hephaistos/Fibronacci 26º Taurus: A giant of benevolent aspect, with his foot on a broken sword, tearing up the laws of the world by which men have been governed for centuries. Behind him are broken bags of golden coins, which are falling in a shower over a precipice. Denotes a child of the new age whose thoughts contend against orthodoxy, systems, war, and the accepted justice of the times. She is gifted with a powerful and convincing individuality, strong in wisdom, worth, and excellence. His mind is dominant, and she is morally and mentally brave. It is a symbol of Iconoclasm. Alkestes 5º Gemini: Little children playing near an old wrecked ship on the seashore. Mercury 9º Gemini: A hand holding a document on which is a crown and royal seal. Transneptunian Vulkanus 13º Gemini: Two men playing at cards, a man standing behind one player making signs to his opponent. DC 1º Cancer: A curious ring set with a large heart of white onyx. Eros 11º Cancer: A number of maidens, crowned with garlands of wild flowers, dancing on a green lawn. Denotes one of bright and joyous spirit and friendly nature whose desire it is to spread happiness and contentment wherever she goes. The native will always be much loved and popular. He comes to the world with a message of love, life, and hope, and a mind which resists the encroachments of evil. It is a symbol of Simplicity. Pluto/Odysseus 17º Cancer: A band of merchants on camels traveling through the wilderness. Mars 28º Cancer: An old mill-wheel lying on the bank of a lily pond, with pretty creepers growing over it. Medea 2º Leo: A roll of papers having dropped from the hand of a dying scholar is eagerly caught up by an eminent professor on whose face there is a look of triumph. Transneptunian Zeus 7º Leo: A book, on which is a crown, resting on a golden throne. Vertex 12º Leo: A man of martial and distinguished bearing giving alms to the poor. Transneptunian Cupido 25º Leo: A poet reading his verses to a group of ladies in an old castle garden. Pandora 24º Leo: An old rusty sword, over which grass is growing, outside a rustic cottage. Denotes one who, after struggling and fighting to gain ascendancy in the world of illusion, realizes in his later life the futility of it all, and throwing away her aggressive sword he retires to a life of peace and simplicity, whilst the sword rots to decay and the tender grass covers it as the flowers over a grave. It is a symbol of Renunciation. Neptune 29º Leo: A man climbing a ladder and helping others who strive behind him. At the top, a veiled figure holds out to him a wreath of stars. Transneptunian Apollon 6º Virgo: A large ballroom in which men and women are dancing. Europa 11º Virgo: A king, seated in a chariot drawn by two stags, throwing coins to some peasants who are singing on the roadside. Mnemosyne 15º Virgo: A radiant rainbow, in the centre of which is the sun in its brightness. Denotes a lover of nature in her grandeur, one of artistic, mystic, and philosophic mind, who will move about a great deal and travel to various places. He is capable of spreading the light of truth and of helping many to see and appreciate its marvels. This degree is a fortunate one and promises much. It is a symbol of Arising. Transneptunian Poseidon 30º Virgo: A heap of bright yellow oranges blown from the tree by the wind. Denotes one who suffers much deceit and whose hopes are threatened. Of a sincere and spiritual nature, she dislikes, to find fault with the actions of others, and she goes her own way whether they hurt her or no. Fate is strong in her life, and she is forced by circumstances to accept its ruling. It is a symbol of Circumstances. Cheshire Cat 10º Libra: An old hermit, in a cave, grasping a crucifix. Denotes one of a conservative and religious mind who is drawn towards solitude. She has many troubles, and endures mortification and suffering, but he directs her thoughts to the grand ideal which materializes as life advances, and this to is happiness. 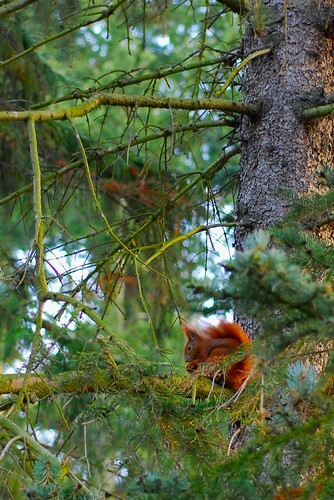 It is a symbol of Solitude. MC 26º Libra: A successful candidate for Parliament addressing the people after an election. Ariadne 4º Scorpio: Sword maker tempering a sword. Echo 10º Scorpio: A revolving star which throws off many colors and shades of color. Denotes one capable of receiving, translating, and presenting many shades of opinion, chiefly as regards philosophies or sciences with which he is identified. She is unorthodox in thought, but reasonable, desiring not to condemn, but rather to enlighten, others. She may travel a great deal, but money does not cling to her, and she must avoid risks of all sorts. Her wealth is in herself. It is a symbol of Discrimination. Juno 21º Scorpio: A double headed giant, in his right hand a club, in his left a tree, roots and foliage. South Node 22º Scorpio: A tax gatherer demanding dues from a poor poet. Waldemath Dark Moon 2º Sagittarius: A woman of angry countenance holding a dagger in her hand. True (Osc) Lilith 15º Sagittarius: A painter at his easel in a forest upland, observing not the heavy black clouds which betray an approaching storm. Black Moon Lilith (Mean) 29º Sagittarius: A chariot decorated with garlands of flowers, broken down on the roadway. 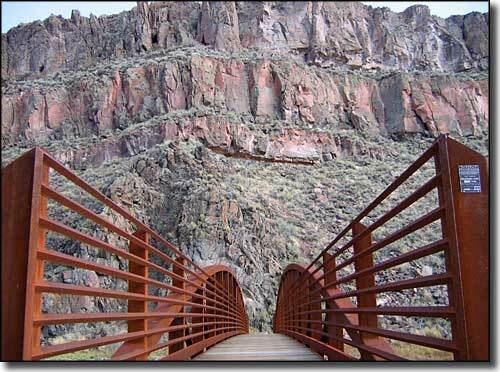 Black Moon Lilith (Mean) Sabian Symbol 28° Sagittarius: An old bridge over a beautiful stream. Saturn 30º Sagittarius: A shield, with a gorgon’s head embossed on it, attached to a column. ASC 1º Capricorn: A man, armed, rising out of the earth. Part of Fortune 2º Capricorn: A revolving disc of light, red centre surrounded by a black rim. The colours are pure and distinct. Pholus 3º Capricorn: An old man seated on a throne in the clouds with his right foot on a sword. A large bright star is above his head and two pillars of light are on either side. Denotes one of genius whose gifts raise her far above the common things of earth, enabling him to comprehend sublimities. What she feels and knows he endeavors to clothe in a dress of vibrating colors to charm the children of earth and to raise them to dreams and contemplations of a glory beyond all material thought and understanding. It is a symbol of Immortality. Medusa 4º Capricorn: Persephone rising gracefully from the under to the upper world. The sun is shining, and the surrounding country is rich in fields of corn, fruits, birds, and flowers, whilst butterflies are sporting round her head. Psyche 10º Aquarius: A woman, blind and in chains, in a magnificent and brilliantly lighted room. Denotes one fated in the strongest sense of the term. She may do things she will regret and from which suffering may come. She should take hold of herself as a rider does a restless horse. Let her learn to open her eyes and to strike off her chains, and she will know the beauty which surrounds her. It is a symbol of Narrowness. Lucifer/Desdemona 2º Pisces: An old man sitting beneath a leafless tree with bread in his hand and a bag of money by his side. Denotes one who will be no stranger to suffering. Directly or indirectly she benefits through people older than herself. No matter how important her position in life, she is limited. She feels for those whose portion of earth life is but pain and she relieves when the pained plead. It is a symbol of Clemency. Merlin 6º Pisces: Pirates tying a captive to a tree by the seashore. An old sailor hidden behind the rocks and foliage watching and waiting, knife in hand, to set him free. Isis 8º Pisces: A slave merchant selling a beautiful woman in an Eastern marketplace. Denotes one who is destined to have power over others and who may be forced by circumstances to obey the wills of stronger forces. Hers is a peculiar life of importance, but not one of absolute free will. It is a symbol of Responsibilities. Kozminsky Symbols drawn from Placidus Chart for 8 May 1929, 11:27pm, born Saratoga Springs, New York. Chart provided by Astrodienst. Isidore Israel Kozminsky was born on 25th October 1870 into a Prussian Jewish family who had immigrated to Australia via London a few years before his birth. Kozminsky was a well-known Jewish occult and esoteric author, reputed to have been a leading member of the Hermetic Order of the Golden Dawn. His works reveal a very broad knowledge of esoteric tradition and astrological knowledge. During his life Kozminsky wrote several valuable books on astrology and numerology. Modern America would not have been the same had the World’s Columbian Exposition not existed. A bold claim, to be sure, but the influence of the Fair’s ideas reached millions upon millions of Americans, reinforcing their beliefs, encouraging pride in their country, suggesting new paradigms which would be more easily accepted in a time of crisis. 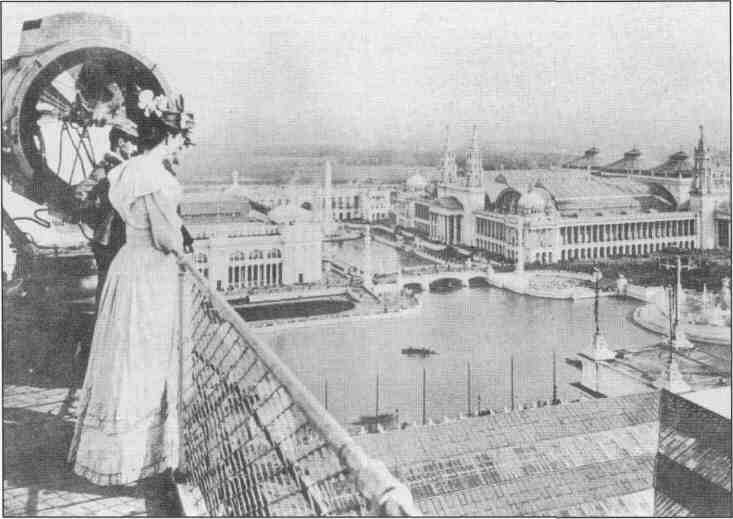 The huge audience for the Columbian Exposition is the key to its definition as a watershed event in American history, influencing millions through visits, guidebooks, journal accounts, and photographic viewbooks. The reactions of visitors to the Fair’s messages of stability–cultural parity with Europe through appropriation of European forms, and the official emphasis on education rather than entertainment–were mixed. Yet the messages of consumption and technology were either received without comment or with outright enthusiasm. It is this–the acceptance and even celebration of consumption and technology–which has had the most significant and lasting impact on American society. The dialogue between popular and “high” culture, and education and entertainment, at the World’s Columbian Exposition was a continuation of a running conversation which has not been resolved in postmodern America–they were reflections of their time, rather than influencers. The messages of consumption (as well as the many goods introduced at the Fair), the rise of a business elite to national power, and the valorization of technology as positive progress have had the most significant and lasting effects on American society. In the great World’s Columbian Exposition of 1893, we find the blueprint for modern America. Earlier this year, as I was reading the book, The Devil in the White City about the 1893 Columbian Exposition held in Chicago, which brought us the invention of the Ferris Wheel and so many antecedents of technologies we derive benefit from in the 21st century; I was guided to refer back to the biography of Marc Edmund Jones to follow up a hunch. He also would have visited Buffalo Bill’s Wild West Show that was set up next door to the World’s Fair. Buffalo Bill having been denied permission to set up his Wild West Show within the grounds of the Columbian Exposition. A somewhat embarrassing financial decision for the Exposition’s bean-counters. Marc’s comments inspired me take a much closer look at the Sabian Symbols, especially in light of Dane Rudhyar’s identifying the Sabian Symbols as belonging to the collective consciousness of the average educated American, and the deep impression the Heaven-on-Earth magic of the Columbian Exposition, with its striking buildings designed by the creme-de-la-creme of American architects and other visionaries, made on the average American: Could Elsie Wheeler have plucked the images for the astrological degrees from the memory piggybank of Marc’s puzzling five-year-old Self? In the midst of all this magical mojo in Chicago, behind the scenes a rather cunning serial killer was active, building a block-long three-story hotel in which visitors to the Columbian Exposition would stay. He preyed upon vulnerable women and others that rented rooms. This hotel was later dubbed “The Murder Castle”, and the author of The Devil in the White City, interweaves the duality of wonder-and-wickedness that coexisted during this period in a most riveting fashion. Erik Larson’s book is a must-read, especially if I have got you thinking about the Sabian Symbols. I’ve done my research into the nature of the exhibits and 95% of the Sabian Symbols can be attributed to things that little Marc saw, objects that were delivered from around the world. The latest inventions, futuristic drawings, pictures and the American Indian themed symbols? Remember Buffalo Bill’s Wild West Show………. Leonard DiCaprio purchased the film rights to Larson’s nonfiction book in 2010, so I really hope a movie is in the can soon. Consider that this World’s Fair had the same effect as a Harmonic Convergence with some potent energies being seeded and along comes five-year-old Marc, the age of Innocence and with his unique destiny still veiled, and he’s thinking about things that nobody explained. Give me the child until he is seven and I’ll show you the man..St Francis Xavier. For a five-year-old like Marc the Midway and Pavilions of the World’s Fair must have been as impressive as Disneyland today and more. From the emotion of AWE, that Pearsall says is our eleventh emotion, Marc’s receptive child-like purity was perfect alchemical soil for those energies to have been planted in. He chose Elsie Wheeler as the Medium for the Sabian Symbols because she was less worldly-wise than other candidates………and may not have been worldly-wise enough to have negotiated a percentage of the royalties from his subsequent book either. Bygones. Elsie did not attend the 1893 World’s Fair, she was six years old, had developed juvenile rheumatoid athritis and was still living with her family. One parent had already died, and she and her four siblings would be orphaned the next year. Due to her spectacular degree of clairvoyant ability, as Rudhyar put it, I feel that she did get to go to the World’s Fair… via the snapshots taken by Marc’s five-year-old Self in a Vulcan mind-meld kinda way. (Vulcan being the esoteric ruler of Taurus, (Venus the common) the White City was a most beautiful Venutian place). The world “Sabean” is very similar to the Latin word “Sabini” or “Sabin” that we know as Sabine. The Sabines were an Italic tribe that lived in the central Appennines of ancient Italy, also inhabiting Latium north of the Anio before the founding of Rome. Consider the classical architecture of buildings constructed for The Columbian Exposition. Also that this World’s Fair marked an American Renaissance; a coming-of-age in art and architecture that put America “on the map” in the higher echelons of those visionary circles. Consider that the tarot is believed to have originated in Northern Italy. La dolce vita! The students themselves picked the word Sabian, which was lucky because it afterward turned out that the Sabians were a Mohammedan group, and nobody knew just what they were. It is not a historically legitimate word for what we do, but it’s a good substitute, and it did represent people who were interested in what was then astrology. Later Jones would derive the word from the Hebrew phrase “Yahweh Sabaoth” or Lord of Hosts, referring to the Hosts as the potentialities or basis of all study in the Sabian work and calling it a convenient term for the pre-Biblical Mesopotamian mysteries “in lieu of the much abused terms Chaldean and Magian.” Significantly, the Koran entitles Sabians, Christians and Jews to toleration. The origins behind the Sabian Symbols is, as I have postulated, a far more simple story than the one Marc Edmund Jones and his students came up with. They were looking in the wrong place. Much has been written about the Sabian Symbols and Dane Rudyhar certainly uses some five-buck words that one should write down for use in future Scrabble games, yet simplicity is the keyword here. Think horses not zebras. The Sabian Symbols are potent portals into the subconscious and their potentials are better activated if you step into the innocence and receptivity of your child self. Your Divine SeedChild and allow them to work through you, not wrestle them into submission via the complexities of the information you have accumulated. Each Sabian Symbol is a multifaceted precious gem, a piece from the Tree of Life with rings that can take us back and forward through time and dimension. Dane Rudhyar felt that the Sabian Symbols needed to be reworked, yet I sense that he didn’t quite twig to the World’s Fair connection and was ‘blinded’ by his own considerable knowledge in all things esoteric and ancient. His identification of the Sabian Symbol imagery being relevant to the American consciousness was the final piece that I needed to come forward with my thinkingWayoutsideofthebox theory, and post it on a blog that nobody reads. There is nothing “ancient” about the Sabian Symbols. They are a modern living breathing and evolving tool ‘birthed’ at a truly magical time in the cultural history of humankind ~ a Renaissance period ~ and they hold those energies in trust for us to access at this time of a Mystical Renaissance. Consider that Caroline Myss, one of the foremost Mystical Teachers on the planet at this time, a medical intuitive who was born, raised and still lives in Chicago, and the thrust of her teachings, and you may understand the role the World’s Fair of 1893 played as a period of seeding for many things that are still waiting to be found……in your backyard, if you are an American. Not in the sacred sites overseas, but underneath your very noses in your own heartland. Chicago is also the resting place of America’s first saint, Mother Cabrini. The Midwest….”America’s Heartland”….Chicago the “Windy City”…..the whispering winds of change. The World’s Fair served to tell the world that the city had “risen from the ashes” of the Great Chicago Fire. (The Phoenix is often referred to as a fire bird and burns itself in fire every 500-600 years. It burns itself to create a new fire bird, ready for another long life). 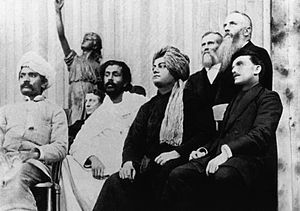 The 1893 Parliament of the World’s Religions, which ran from September 11 to September 27, marked the first formal gathering of representatives of Eastern and Western spiritual traditions from around the world. Like I said, the Columbian Exposition had the energies of a Harmonic Convergence. I simply connect the dots. The Parliament of Religions opened on 11 September 1893 at the Art Institute of Chicago. On this day Vivekananda gave his first brief address. He represented India and Hinduism. Though initially nervous, he bowed to Saraswati, the goddess of learning and began his speech with, “Sisters and brothers of America!”. Swami Vivekanada died on 4 July 1902. He was a huge hit at the Columbian Exposition. You are currently browsing the archives for the 360 Degrees ~ Sabian Symbols category.